If you are new to social media marketing or haven’t gotten started yet, you should be prepared for the reality: it takes time and patience. Your customers have to find you and follow you. It takes a while for word to spread. You should see some results fairly quickly – like increased site traffic, increased followers, and increased engagement. But internet marketing isn’t a quick fix. There are lots of services out there offering quick results in the form of followers, but these results aren’t really helpful to your business. Followers you buy this way come from click farms and they aren’t going to engage with your business after they click that like or follow button – quite the opposite. This will just confuse your insights, give you a false sense of accomplishment, and ultimately damage your social media efforts. Building real followers takes effort and patience. Ultimately, if you can hang in there, you will start to see results from your social media marketing that really affect your business. 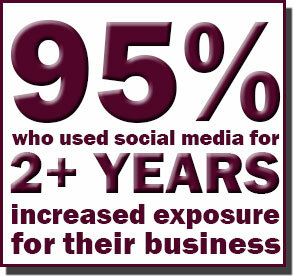 Social Media Examiner did a study of marketers, and they showed some interesting facts. Studies, like the one by Social Media Examiner, have consistently shown that the more time you put into social media marketing, the more benefits you will see. Consistent, interesting content is the key to social media marketing success. Marketers who spent at least 6 hours a week on social media marketing found the best benefits. So, as you can see, the more you invest in social media marketing, the more it will reward your efforts. The people who will be most successful are those who are in it for the long haul. 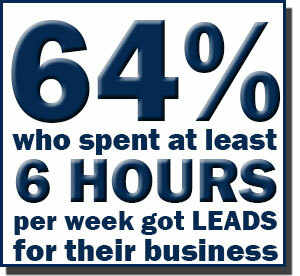 How much time do YOU spend on your social media marketing efforts each week? Let me know in the comments below. 2 Pings/Trackbacks for "Social Media Marketing Rewards Time & Patience"